Dentures can offer patients without teeth a replacement option that will immediately improve the aesthetics of their smile. While there are many benefits to wearing dentures, there are some common problems that patients tend to experience with them. Sore spots on the gums are an issue that may be experienced by a patient who wears dentures. The likely cause of this problem is that the dentures are no longer fitting properly. Many times this is due to subtle changes that have occurred in the gumline. It is important to let your dentist know about the sore spot as soon as possible. Allowing a sore spot to fester can easily turn into an infection. The dentist will be able to adjust your dentures or reline them so that they fit more properly. And if you accidentally break your dentures, most of the time the dentist can repair the damage. Another common issue that occurs with dentures is that they get stained. This can happen by consuming any of the items that easily stain natural teeth. These items can include coffee, tea, soda, and wine. Smoking can also stain your dentures. In order to keep your dentures as clean as possible, it is best to regularly brush them. It is also a good idea to use denture cleaning products bought at the store. If they are particularly stained, a dentist can professionally clean them for you. Keeping them clean will also help you deal with another common denture problem – bad breath. 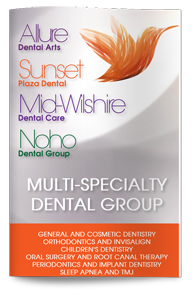 Mouthwash can help with bad breath, but professional cleanings from the dentist are most effective.